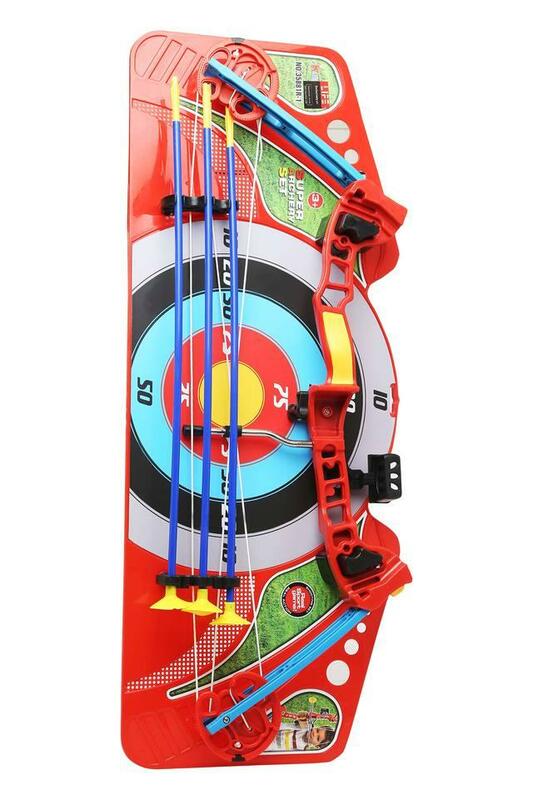 This Archery Set from Life is an ideal pick for your archery lover kid. The set includes a bow, three arrows and a target board for complete fun. They are made using good quality material which lends them great finish and ensures durability. Encourage your child to enhance their shooting skills with this Archery set.